rapid access to the information you need, this handbook is an indispensable resource on all aspects of haematology for all trainee doctors, nurses, technicians, and research professionals. 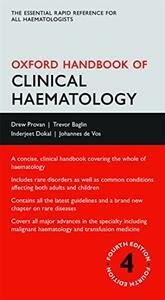 Standards in Haematology, BCSH) and are experts in the evidence base that exists for each topic. 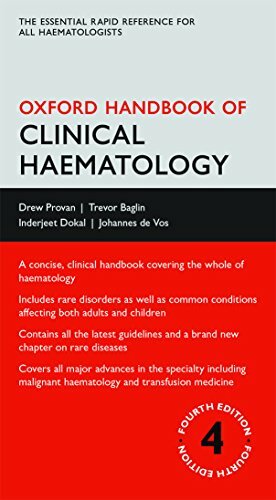 The Oxford Handbook of Clinical Haematology offers a concise and logical approach to caring for patients with diseases of the blood. Providing essential information needed in clinical practice for the diagnosis and management of patients with blood disorders, this handbook covers haematological investigations and their interpretation, and commonly used protocols.